A few months back, I did a series entitled Another Man where I delineated the 5 most influential men in my life. That series arose from a quote I read that said for a boy to grow into a man requires the influence of another man. This has certainly been true in my life. But this is only half of the truth, at least for me. I can certainly say that I wouldn’t be who I am today (whoever that is) if not for the influence of my mother. In fact, if I were to go so far as to rank people according to their influence in my life, I’d be hard pressed to find anybody more important to the formation of my character than Myrna Armstrong Bybee. If my father taught me toughness, I learned tenderness from Mom. She was so full of warmth to me. Make no mistake: she was certainly capable of correcting me if the occasion warranted it. (Her coldest glances were reserved for the moments I would act up in church.) But she was always quick to remind me of her steadfast love for me, too. No matter how disobedient I might’ve been, she always reminded me how much she loved me. In fact, those were the last words she ever spoke to me. My mother also taught me compassion. Many an afternoon my play-time was truncated because of her compassion. My Mom was a school teacher for over 20 years. A lot of her students lived in the housing project adjacent to our school. Occasionally, one of her students would need a ride home from school. I distinctly remember an afternoon when we had to take this little black boy home because his Mom forgot to come pick him up. Apparently the 15 minute drive out of our way was a major intrusion upon my afternoon Nintendo time. As soon as he got out of the car, I started griping and complaining. “Why did we have to take that kid home? It’s not our fault he didn’t have a ride. Why can’t his own Mom come get him?” After I finished my idiotic diatribe, my mother calmly preached a 14 word sermon to me: “Jason, we took him home because that’s what Jesus would want us to do.” I think of that moment often. I doubt my mother ever knew that was one of the formative moments of my life. 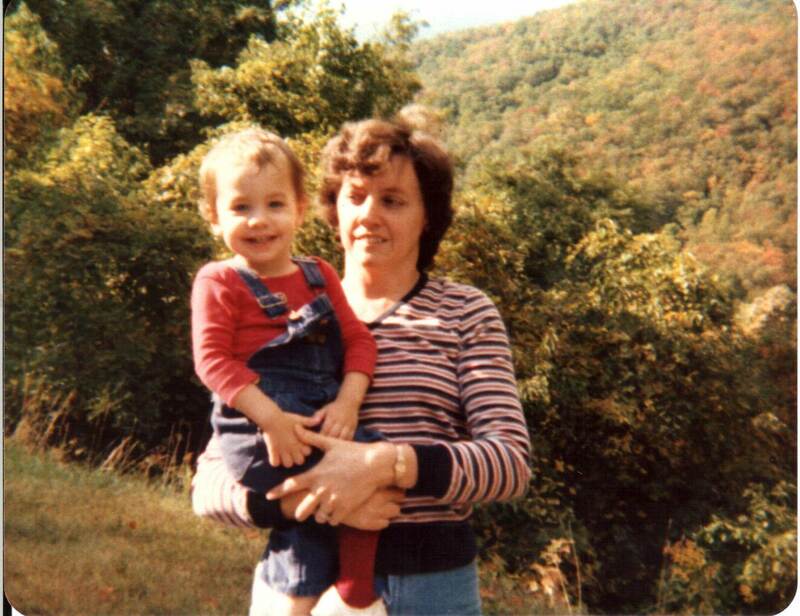 Today marks the 13th anniversary of my mother’s death. She left this world much too early and I miss her more today than I ever have. But I’m eternally thankful for her influence. God couldn’t have given me a finer mother. You didn’t simply raise a boy, Mom. Your influence continues to raise me into the man I’m becoming. This entry was posted in Blessings, Mom, My Girls. Bookmark the permalink. Just sending some love and hugs. Your family has been deep in my prayers today and now moreso. Jason, your mom was such a great lady, and she always made me feel welcome in her home. I know beyond the shadow of a doubt that she was always proud of you, but I also know that she would be extremely proud of who you have become. As a matter of fact, there is no doubt in my mind that you are exactly what your mother would want you to be: A Godly father, a spiritual leader, a gifted minister, and a great friend. I’ll never forget that week your mother passed. I’ll never forget the day of the funeral, and the masses of people who were there. That was a tribute to who she was to so many people. Just thinking about that day brings that choked up feeling in my throat. I only hope that when I suffer a loss as you have in your life, that I can deal with it like you continue to do. God bless you my brother. Love you man.